Variable wall tubes offer benefits include less material such as steel and less mass, giving a more fuel-efficient vehicle. Engineers can place mass at critical stress points and less mass at the non-critical stress. 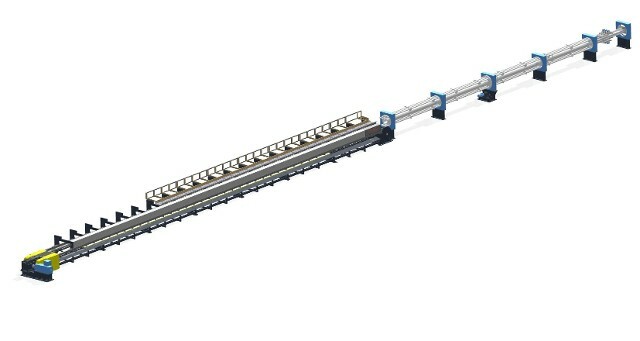 This forming cell utilizes an innovative process developed for the manufacture of automobile instrument panel beams. The manufacturing process is carried out by two different forming procedures, both of which Mitchell excels at - Tube Push Pointing and Tube drawing. U.S. and Canadian patents have been issued that cover this unique process. The cell includes a 50,000-lb. Three (3) Die Push Pointer and a special Tube Drawing Unit. The drawing unit uses the same tooling components found in a normal drawbench, along with additional features that make it unique in the automotive parts making industry. This forming process makes the previous procedure of joining two tubes of different cross sections obsolete. The single formed tube of varying cross sections possesses an enhanced natural frequency and structural integrity compare to the two-piece construction. 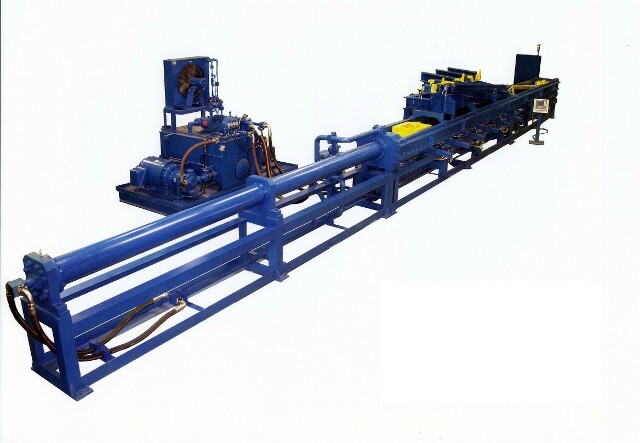 This unit utilizes state-of-the-art hydraulic and electrical systems in combination to produce three (3) DOM Variable Wall Tubes, as well as three (3) solid mandrel drawn tubes for aluminum ball bat and bicycle single and double butted tubular products. In 2017, Mitchell delivered a 50,000-Lb. capacity Three (3) Tube Drawbench to a world leader in the copper fitting industry. The drawbench was a first of its size for the George A. Mitchell Co., although George Mitchell himself started his career in the design of drawbenches of this kind over five decades ago. The drawbench spans 260 feet with a 130 foot carraige travel distance for copper tube drawing. 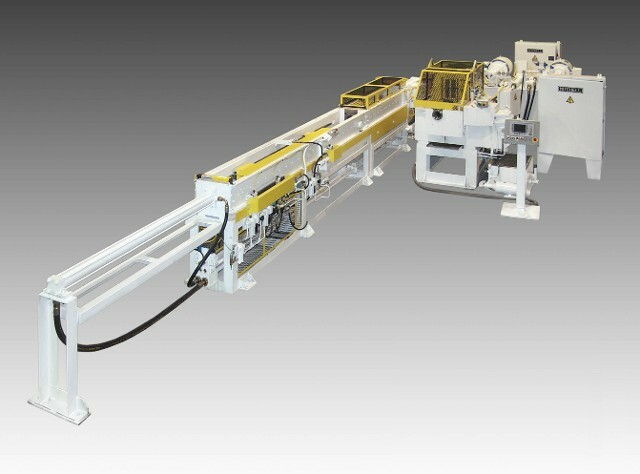 In addition, it incorporates an 88 foot long rotating mandrel section to index the immense lengths of tube into position for drawing through the die stand.